Since 1995 the Idaho Community Foundation has selected a Friend of the Foundation, which recognizes exceptional contributions to the success of ICF. The award is presented at our annual events, which are held throughout the state. Eighteen months into their retirement, former ICF President and CEO Bob Hoover and his wife Leslee had developed an enviable routine. Their days began with walks for their two 8-year-old English labs, Molly and Bismarck. Then they would exercise at the Kroc Center for an hour (Bob) or two (Leslee). They’d finish the day sitting on the back deck of their home overlooking Lake Coeur d’Alene. But that was before a recent late morning phone call from The College of Idaho asking for their help. Charlotte Borst, the college’s president, was stepping down and the college wanted a steady, familiar hand to guide it while the search for a new president was underway. Bob had served as The C of I president from 2003-2009. The Hoovers had a lengthy discussion over a couple of days about quitting their idyllic retired life and returning to work. They discussed the early mornings, late evenings and frequent travel. And they discussed being part of a vibrant, young community, seeing longtime friends and colleagues, and living closer to their twin grandsons. In the end, the choice was obvious. Bob and Leslee have always been committed to Idaho’s people, places and the organizations that enrich the quality of life here. Both have devoted their lives and careers to education and nonprofits. Prior to their involvement with ICF and The College of Idaho, Bob was President of the University of Idaho and Leslee was his Executive Assistant. She later served as Executive Assistant to Treasure Valley YMCA CEO Jim Everett. “I have been so lucky and fortunate in my life and I love giving others the opportunity to find their passions,” Leslee said. They love that ICF reaches into small, rural Idaho communities to provide support. Leslee is from Hope, Idaho, a community of 88 people east of Sandpoint. “ICF has provided grants to a childcare in Hope and the rural fire department. They were small grants, but they made a big difference to the people who live there because they need those services,” Leslee said. Bob and Leslee have a Greatest Need endowment fund through ICF. Grants from Greatest Need funds are distributed based on recommendations from ICF’s regional grants panels. They are flexible so they can meet the changing needs of a region. They love having an endowed fund because they know it will continue to provide grants forever. “That’s significant and over time will have a real impact on Idaho,” Bob said. Bob and Leslee have been married for 11 years. They have three children and mourned the loss of son Shayne earlier this year. They have six grandchildren. Nicole Kissler said her first introduction to philanthropy came as a very young child in church. “The collection basket would come around and my dad would hand each of us some money to put into it,” she said. 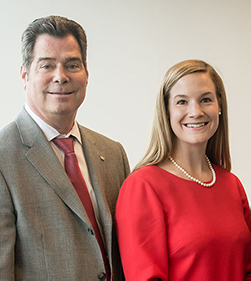 That tradition may have been Nicole’s first introduction, but the Kissler family has been one of Idaho’s most generous families for three generations. Jim and Nicole say there were never any formal discussions about the importance of philanthropy, it’s just part of the family’s culture. Larry Kissler, who is Jim’s father and Nicole’s grandfather, purchased Norco, Inc. in 1968 and moved his family from Massachusetts to run the business, which had locations in Twin Falls and Boise. Today, the company has locations in Idaho, Montana, Nevada, Oregon, Utah, Washington and Wyoming. Jim bought the business from Larry in 1985. Norco recently underwent a transition and is now a proudly employee-owned company. Jim still serves as CEO and Nicole is Director of Medical Reimbursement. Both also sit on the Board of Directors of the Kissler Family Foundation (KFF), which is a supporting organization of ICF. KFF and ICF have a long history together. Jim knew ICF founder John Fery, whom he refers to as “the grandfather of charitable giving,” and knows Roger Martell, who was part of the team that established ICF in 1988. Nicole said she has grown up knowing about ICF and is happy to be building her own relationship with the foundation. Nicole said she looks forward to showing the next generation of Kisslers the joy of giving and the importance of philanthropy. John and Karen Rosholt of Twin Falls have been involved with ICF since the early days of the foundation. ICF founder John Fery, who passed away in February, approached Rosholt and asked him to help rally Magic Valley companies and foundations to support the newly created community foundation. Fery got the support he needed for ICF, raising $1 million in assets in the foundation’s first year and raising $5 million in assets in less than five years. He got the Rosholts involved as well. John and Karen have each served on ICF’s Southwest Competitive Grants Panel and ICF’s South Central Idaho Leadership Council. John served a nine-year term on ICF’s Board of Directors. The Rosholts established an ICF endowment in 1998 to help support the foundation’s operations and they have been ICF members since 2001. John, a partner at Barker Rosholt & Simpson LLP, is a well-known water rights expert. Karen, a retired teacher is the first woman to be president of the Blue Lake Country Club in Twin Falls and is a three-time president of PEO, a philanthropic organization that supports women through scholarships, grants, awards, loans and stewardship. They think ICF is a good option for people who want to give in Idaho and the Magic Valley. “Government support is in decline and with an ICF fund you can direct grants to the organizations that you want to help,” John said. Karen said she enjoys seeing the results of ICF grants in communities throughout the state. “We can drive anywhere Idaho and I can see projects that I remember learning about as a grants panelist,” she said. The Rosholts met at the University of Idaho in 1964 during John’s last year of law school and Karen’s senior year as an undergraduate. 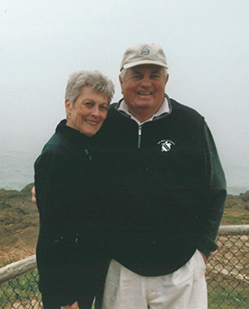 They celebrated their 50th anniversary on the Oregon Coast last summer. They have three children, Bekki Madron, Kirsten Lehman and Patrick Rosholt, all of whom are University of Idaho graduates, and three grandchildren. When Alan Van Orden was first invited to join the ICF Board of Directors in 2007, he was pleased but uncertain he could complete the nine years of service. “That sounded like forever!” he recalls with a smile. But he accepted because he was familiar with ICF’s work and thought it would be a good opportunity to visit his son and grandchildren during the board meetings in Boise. Van Orden, who served as Board Treasurer for many years said his favorite part of being a board member was getting to know people from around the state and becoming familiar with the work of many nonprofits. He recalled that ICF hosted a reception in Pocatello for local grant recipients shortly after he joined the board. He was moved by the stories the nonprofits told about how they would use their ICF grants. “I am always touched when I see people giving of their resources for the benefit of others,” he said. Van Orden’s role on the ICF Board led to the F.M., Anne G., and Beverly B. Bistline Foundation becoming an ICF fund. The growth of the Bistline Foundation created challenges for its volunteer advisors so it made sense to convert it to an ICF fund. Since then, the Bistline Foundation Fund has provided nearly $600,000 in grants to arts-related nonprofits in southeast Idaho. In addition to ICF, Van Orden has served on the boards of several other nonprofits including the Idaho State Civic Symphony, of which he was board president, The Salvation Army and the Idaho State University Foundation Board, of which he is currently the treasurer. He has also been involved in the Kasiska Foundation, which provides scholarships for students studying health-related fields at Idaho State University. Van Orden graduated from Idaho State University with a bachelor’s degree in accounting and earned his master’s degree from the University of Illinois. He returned to Pocatello with his wife Sherry to teach accounting at ISU. A few years later he received a full-time job offer as an accountant from Neal Jordan. “It was decision time,” Van Orden recalls. 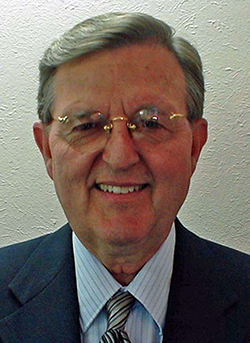 With a growing family, he took the full-time job and has been a CPA at Jordan & Co. for almost 50 years. Alan and Sherry have been married for almost 55 years. They have eight children, 29 grandchildren and two great-grandchildren. When he has downtime, Van Orden enjoys reading, traveling and researching his family history.